Living in Minnesota, our extra freezer is well stocked with wild game and fish year-round. We use this versatile batter recipe for deep frying just about everything. It works well for fresh caught walleye, crappie, blue gill, or perch filets…all of which our kids happily devour. We’ve also used it to fry up cubed halibut brought back by friends from fishing trips to Alaska. This particular recipe is for pheasant. 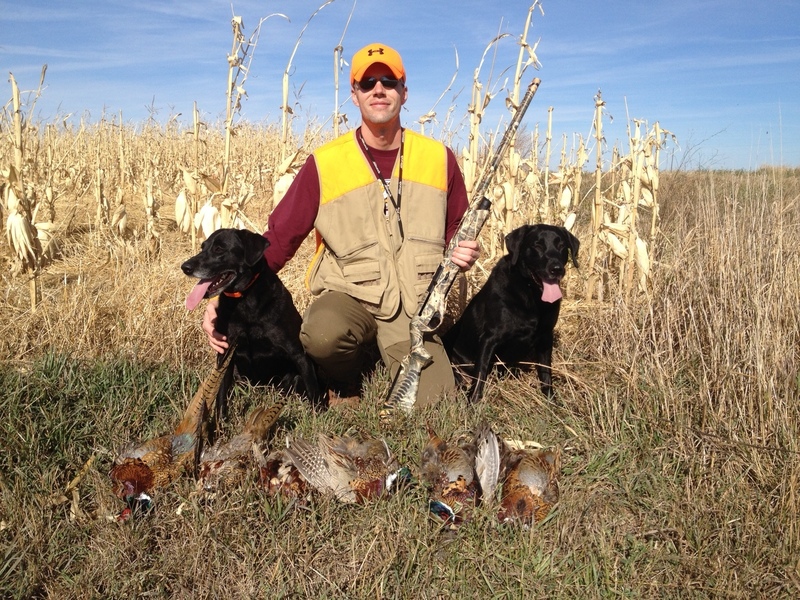 The Hubs makes regular trips to South Dakota each year and often brings home a limit of birds. We typically freeze each bird individually in gallon freezer bags. Then, when we’re ready for a meal, we will thaw one or two birds, remove the meat from the bone, cube and bread the meat, and then deep fry it until golden brown. 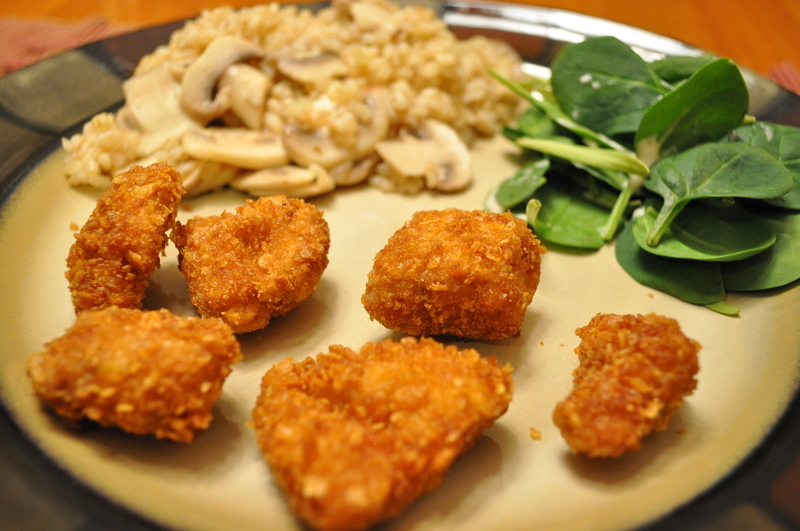 If you don’t have a hunter in the family or just want to try something a bit more tame, then you can simply used cubed chicken breast in this recipe for some tasty, homemade chicken nuggets. We serve these tasty little nuggets with ranch dressing or tartar sauce. Ketchup is also a welcome dipping option for the boys. CRUMBS: Pour corn flakes into food processor and process until finely crushed. 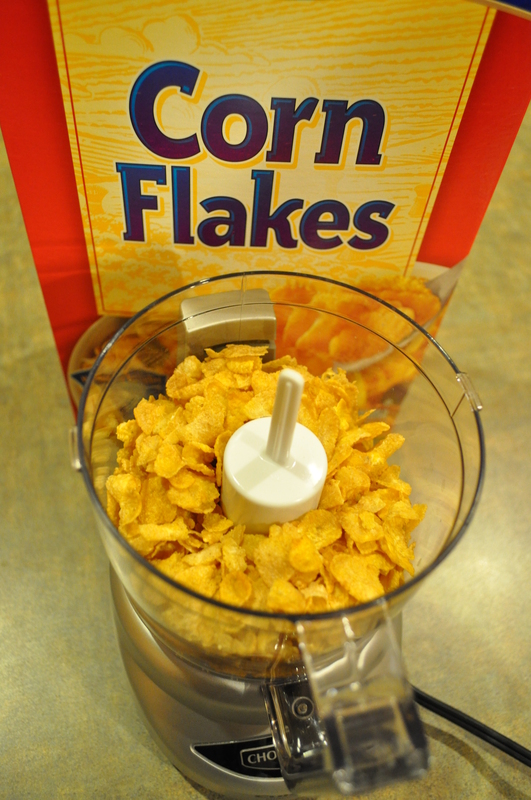 You will need about 3-4 cups of corn flakes to make 2 cups of crumbs. For a faster alternative, purchase a box of corn flake crumbs from the baking aisle. PREP: Fill deep fryer with oil and preheat to 400 degrees. Prepare pheasant by removing the meat from the bird (and the other unpleasant stuff…like BB’s and bits of feathers). Cube meat, dry with a paper towel, and set aside. For the batter, use three shallow dishes. I like to use 9 x 9 glass baking dishes. 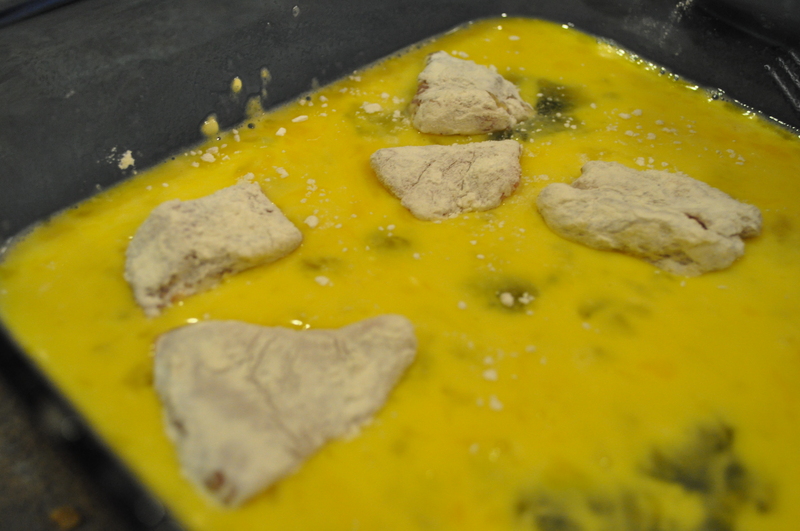 In the first dish, add the flour and mix in a bit of salt and pepper to season. In the second dish, mix the eggs and the milk. 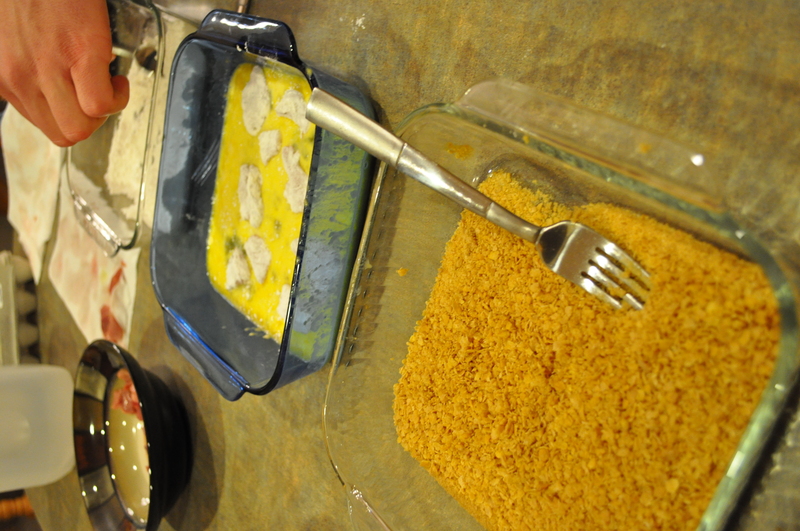 In the third dish, add the corn flake crumbs and mix in a bit of salt and pepper, too. 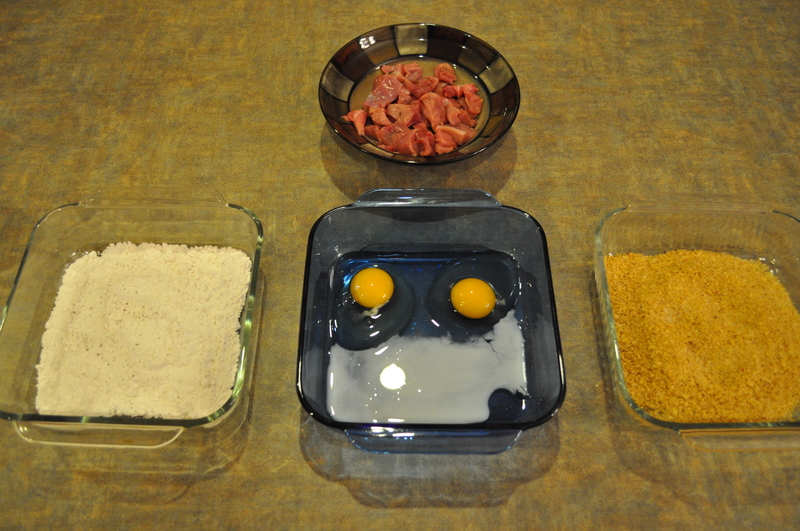 COOK: Working in small batches, batter the nuggets by dipping them in the flour, then the egg mixture, and finally the crumbs. 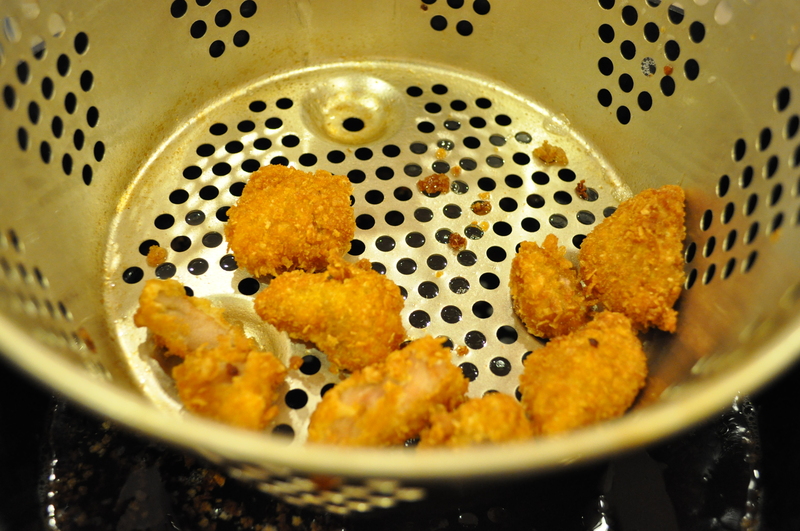 Then, add the nuggets to the deep fryer basket and fry for a few minutes until they become golden brown and begin to float. 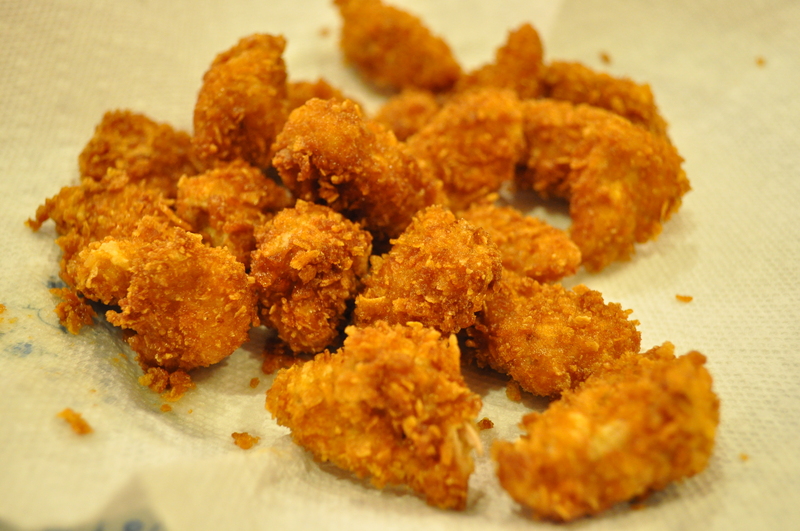 Remove from oil, drain nuggets, and place on a paper-towel covered plate. Continue working in batches until all nuggets are cooked. Serve with ranch dressing or tartar sauce. The Hubs bags some birds in South Dakota. Amy’s Notes: Don’t make more than you’ll eat at one meal. 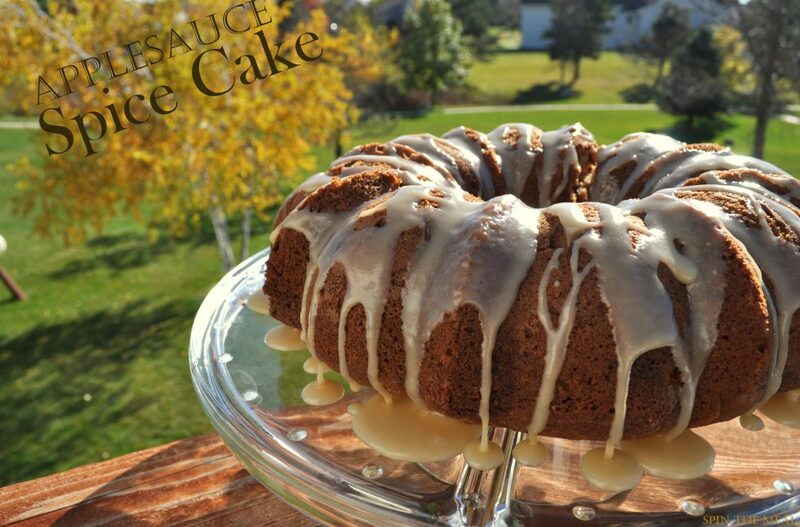 The batter does get soggy when refrigerated and reheated. They still taste ok leftover, but it’s not the same as fresh out of the fryer!